Gary Heffley getting a quick picture before releasing the beautiful trout back to the waters of Baum Lake. 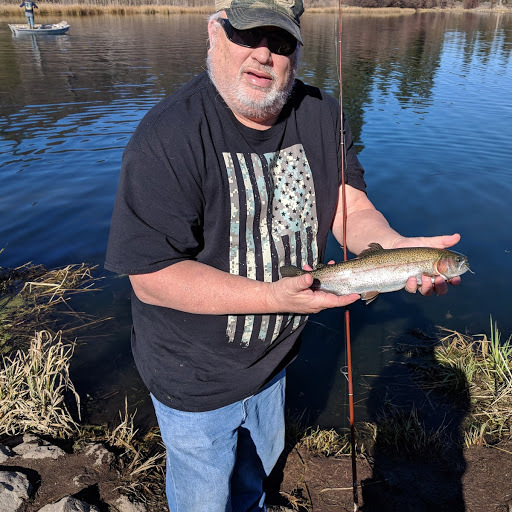 Looking to get in a quick afternoon of fishing before the upcoming rainy weekend, I made the drive up 299 from Redding to Baum Lake, and, as usual, was not disappointed. 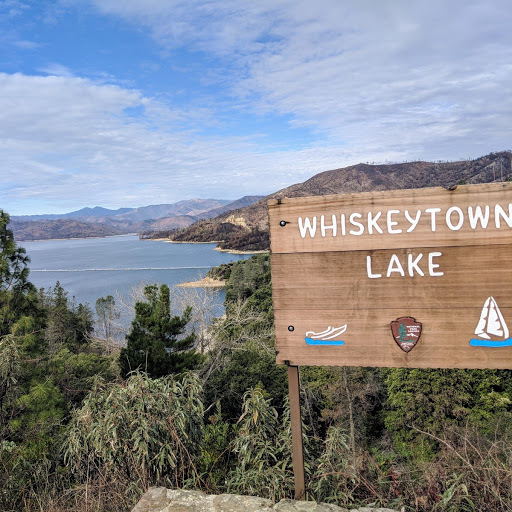 As noted in prior reports, Baum Lake is an outstanding winter fishery that is complemented by stocks of both brown and rainbow trout from the adjacent Crystal Lake Hatchery. 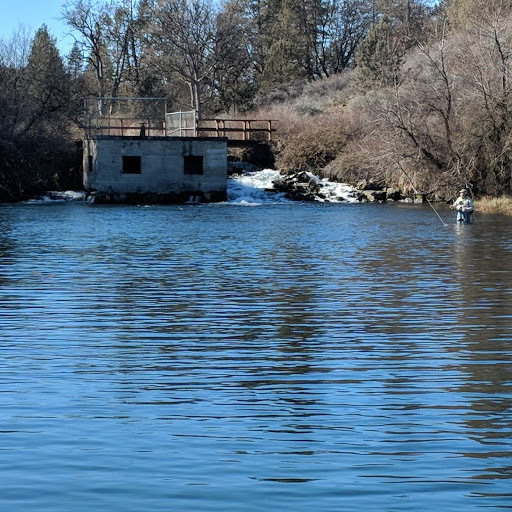 I stopped by Burney Sporting Goods on the way to the lake and was told the fishing had been steady, which is relative; steady meaning easy limits for most anglers for a day of fishing. Bait anglers were doing well with garlic scented PowerBait, while others were doing well with Kastmasters and Panther Martins. The fly anglers, of course, were doing best stripping either woolly buggers or nymphing with small black offerings. Getting to the lake about noon, I did not have great expectations with the clear, bright, high sky, but, right away, I saw numerous fly anglers hooking up with active fish. Talking with some of the anglers, the morning had been quite productive, but had slowed down some due to the clear warm conditions. Tying on a Kastmaster, I was shortly freight-trained by a strong 16 inch rainbow which I quickly released. Switching to a crystal olive woolly bugger and float combination, I landed the earlier rainbow's twin. Shortly after that, another nearby angler landed a small brown on a spinner, as the fly anglers fishing from prams and small pontoons continued to catch both bows and browns; one angler using small dries to target rainbows. 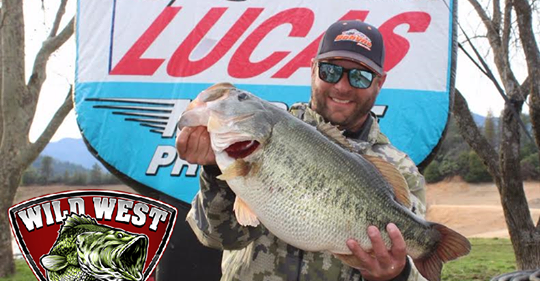 All the while, trout continued to jump and dimple the surface of the lake just to remind all anglers that they were there and will strike whenever they feel like it. Remember, no gas engines are allowed on Baum, but the small lake is perfect for personal pontoons, kayaks, canoes, and other small paddle and oar powered craft.